Uvita, Ojochal, Sierpe, Puerto Jimenez, Puerto Viejo, Cahuita, Guanacaste Beaches. Pick up from main San Jose Hotels, San Jose Hostels, San Jose Bed and Breakfast. *Prices are in US Dollars. This shared shuttle service throughout Costa Rica is provided by friendly drivers in modern and comfortable vans and minibuses, equipped with air-conditioners. They usually leave in the early morning hours, as well as in the afternoons. These services can be booked and paid online and in advance, which further saves you time. Door-to-door shared shuttle services are available from San José to Arenal, San José to Jaco, San José to Monteverde, San José to Puerto Viejo, San José to Jaco, from San Jose to Manuel Antonio, from San Jose to Ojochal, from San Jose to Sierpe, from San Jose to Puerto Jimenez and for many more Costa Rica shuttle service routes. 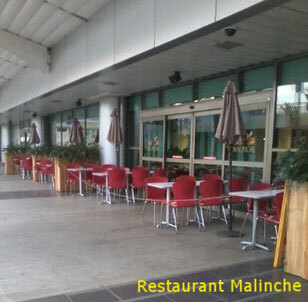 Our driver pick up at the main hotels in San Jose downtown, Alajuela and at SJo Airport at Restaurant Malinche. San JoseTransportation, San Jose Transfers, Jaco Taxi, San Jose Private Transportation, San Jose Private Taxi, San Jose shuttle, From San Jose Airport to, From San Jose Airport to, How to get to, Jaco, Manuel Antonio, Quepos, Dominical, Uvita, Ojochal, Sierpe, Puerto Jimenez, Puerto Viejo, Cahuita, Arenal, Monteverde, Guanacaste, Liberia.